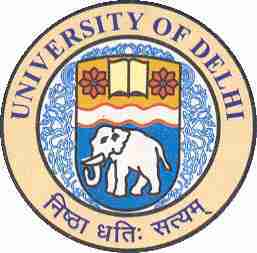 The University of Delhi (DU) will conduct entrance exam in Delhi only for admission into LLB 2012 and LLM 2012 courses under graduate and post graduate courses respectively. Application are invited by University of Delhi (DU) for LLB/LLM Entrance Test 2012 and Admission on the basis of entrance exam. LLB Program - Graduate / Post Graduate degree with 50% marks; 5% relaxation is available for reserved category candidates. LLM Program - LLB degree, a 3 / 5 year with 50% marks, 5% relaxation is available for reserved category candidates. DU LLB/LLM Entrance Test 2012 application form and information brochure can be obtained from Faculty of Law Admission Office from 07.05.2012 on deposit of DD Rs 700 (250 for SC/ST and PH candidates) in favor of Registrar, University of Delhi.